This week I turned in my second novel, Hawk's Covenant, to my editor. There was a celebration involving a vodka trolley, but I've never been able to loiter in the here and now. And so begins the mildly nerve-wracking process of waiting to hear back from my editor. I don't think it’s possible to be a writer and not care what people think of your work. It's the whole point of writing in the first place – intriguing readers, telling good stories, writing engaging non-fiction. If you didn't care, you're unlikely to want to be published. It's anathema to the process. Bothering is what it's all about. Hawk's Covenant is also the first sequel I've ever written. I've documented some of the challenges previously. And no doubt I'll probably write more about it as I grapple with the unique challenges the ongoing series presents. More recently I've been thinking beyond the logistics of getting the narrative balance right – how much to reveal from the previous book, how much to conceal. I've been occupied more with the more ephemeral elements of the follow up such as tone and metre and how much the language series should evolve, how much it should remain consistent. No one wants a duplicate of the previous book, but keeping some of the expectations of the readers is important and series needs to feel as such, an ongoing story particularly I think when it comes to style. But for now I wait, I catch up on reading, I make notes for book three. 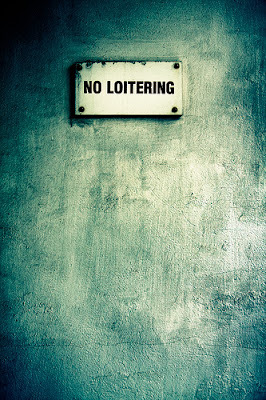 There's always something more to do, something new to commence — no loitering. I absolutely adored the first book and I'm really excited for the sequel. I'm always interested in seeing how a series progresses and evolves, so it's intriguing to read about the process from the author's perspective. Thanks Emily, so glad to hear you enjoyed Blood Witness. I'm also keen to see how the series evolves, although I plot out each book characters often surprise me.